What was traditionally California’s most heated rivalry–that of north versus south–may soon give way to a different divide. 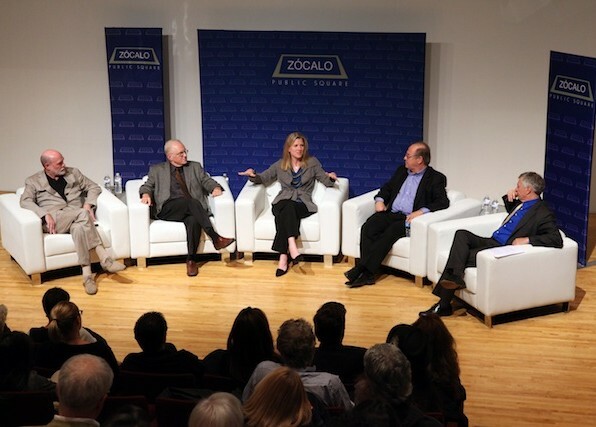 At an event co-presented by the Huntington-USC Institute on California and the West, a panel with roots in both Los Angeles and the Bay Area questioned whether California’s north-south divide will be replaced by the chasm between California’s east and the west. Conan Nolan, general assignment reporter for NBC4 Los Angeles, moderated the event before a large and enthusiastic crowd at the Grand Avenue MOCA. He opened the evening by asking panelists if L.A. and San Francisco could be considered more natural political and cultural allies than, say, L.A. and Riverside. “Do the north and south on the coast have more in common than the north and south in inland California?” asked Nolan. Turning to University of Washington historian and Silicon Valley history expert Margaret O’Mara, Nolan asked how much the shift in power towards the north might have to do with the rise of Silicon Valley. While O’Mara didn’t indicate a major role for Silicon Valley in the north-south power flux, she did note that Silicon Valley has a much more self-reliant mentality than many regions, such as Los Angeles, do. “We’re entrepreneurs [in Northern California], pulling ourselves up by our bootstraps,” she said. Nolan asked the panelists if they felt that the state’s size was a drawback. 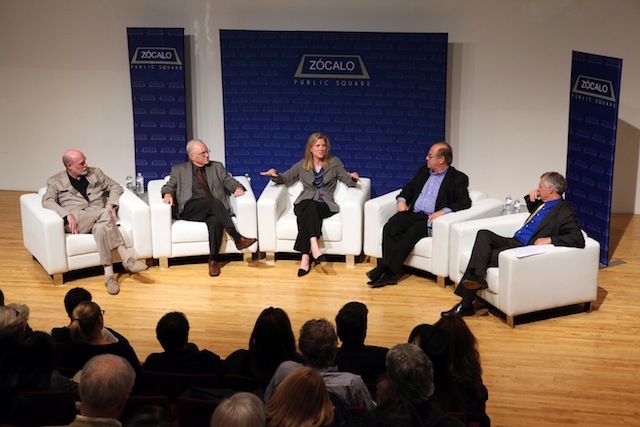 Does California’s size diminish, rather than enhance, its national and global influence? And is size also to blame for the state’s inability to form consensus and achieve any sense of continuity? To both questions, the panelists were in agreement on the answers: no. First, they said, California is still hugely influential. “For the rest of the world there is no north-south” divide, added Roderick. Second, they said, California’s size, while large, is not primarily to blame for the political dysfunction of the state. That has to do with many other factors unrelated to surface area. Brechin, who has taught at UC Berkeley for 44 years, offered a grim assessment of how the health of the state has declined, pointing to a student body apathetic to politics and a university plagued by financial difficulties. “California does have this mythic image around the world, but it’s losing it,” he warned the crowd. “You asked who runs California? I’d say who ruined California. And my vote goes to Howard Jarvis” and Proposition 13. In a lively question-and-answer session, Brechin said that during the Great Depression, thanks to the New Deal, “California pole-vaulted from the 19th to the 20th century” with massive public projects and huge gains in infrastructure. However, today, as the system breaks down, we’re increasingly going back in time. Read expert opinions on who runs California here.